The Add Internal Members form offers a step-by-step process to help you add or invite Internal Members to your company account. To add new Internal Members, go to the company admin menu (gear icon in the top right) and select Company Setup > Internal Members > Add Internal Members. Note: External Members are added at the workspace level. See Adding Members to a Workspace for more information. 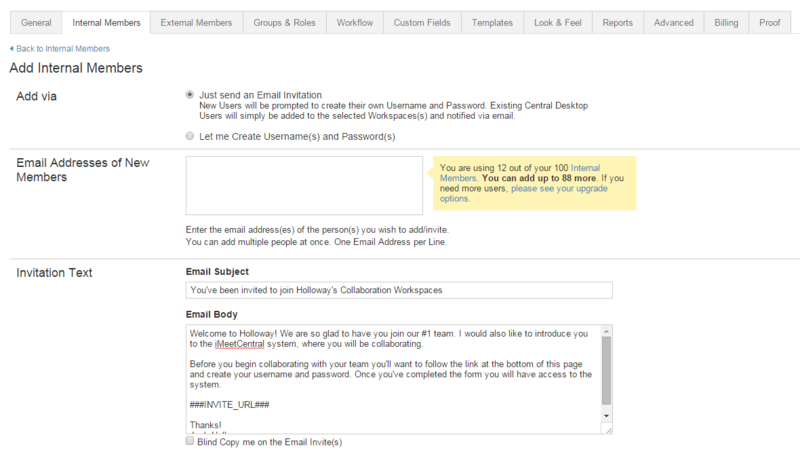 Company administrators have the option to Just send an Email Invitation to the member(s) being invited which will allow them to create a username and password. An email will be sent to the invited email address with a link to set up an account. This is the only option that can be used when inviting members who already have iMeet® Central accounts. Note: When customizing the body of the message, it is important to not edit or remove ###INVITE_URL### which is a placeholder for the URL that will be sent to new members to accept the invitation. Next, you have the options to place new member in user groups, add them to specific workspaces, as well as assign them permissions. Once you have set the necessary criteria, click the Add Internal Member(s) button to complete the process. When a new member is invited, the email address represents the username as a temporary placeholder. This may appear in the internal members list with a Pending status. Once a member is invited, the account cannot be deleted from our system without contacting Support. The member must complete the account setup process by following the link in the email invitation. 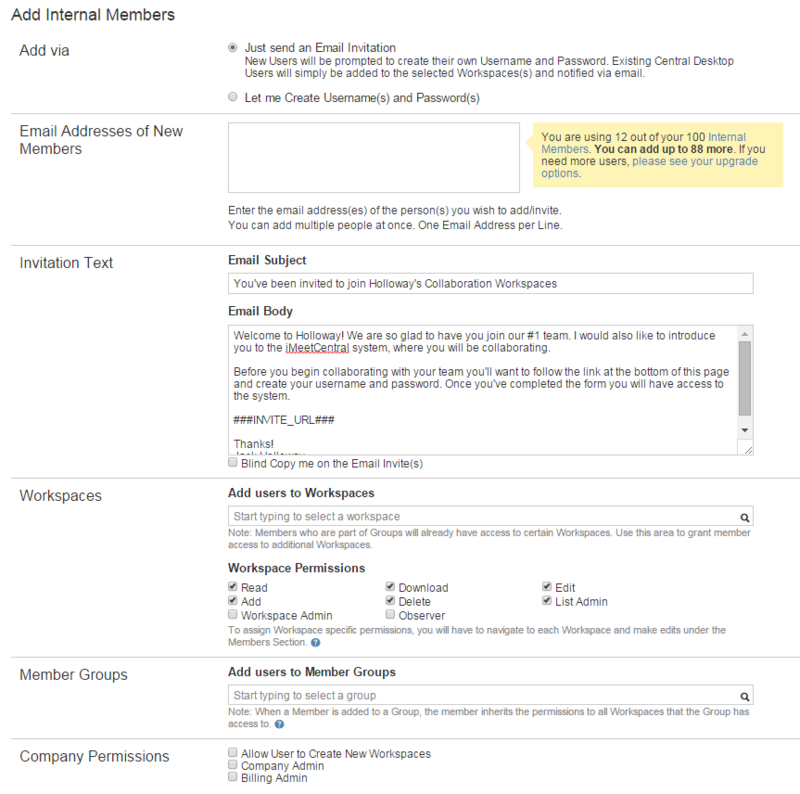 See Workspace Invitations for troubleshooting tips.